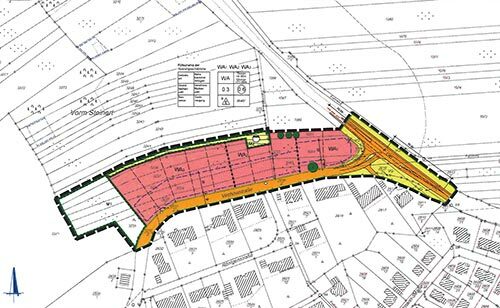 In order to determine conceivable acoustical stipulations in the urban land-use plan “Nördlich der Virchowstraße”, city of Eisenberg (Rhineland-Palatinate) and judicially safeguard those, IBS conducted a noise-related investigation based on the draft of the land-use plan. 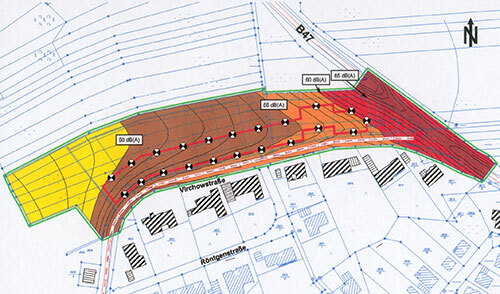 In this investigation, the predicted traffic noise immissions from the federal highway B47 (tangent to the building zone planned), from the Virchow street and from the new route of highway B47 (bypassing Eisenberg; at the time of the acoustical investigation in planning stage) were determined and compared to the orientation values given in DIN 18001-1, supplementary sheet #1. IBS determined passive noise control measures to protect the future residents from traffic-related noise. 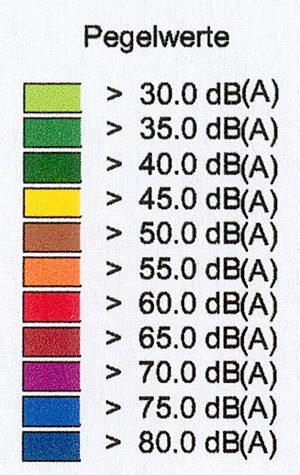 The sound reduction index of windows necessary to achieve sufficiently low sound pressure levels inside living or sleeping rooms was calculated, and in cases of windows orientated towards sound sources, sound-reduced mechanical ventilation devices for sleeping rooms were stipulated.